I have been a spiritual empathic healer for over 20 years. I will only share the truth as my messages come from angels and spirit guides. Let me guide you to your spiritual path. Will pass exams. POI will communicate soon before returning and will be interested in relationship. Very professional and honest. Will follow up and update once these happens. Simply amazing! That was a great second reading. I'll be checking back in for sure! Don’t know what I would do without her. What she says actually does happen. And she’s incredibly kind and nice to talk to. I have a new favorite!!!!! First time caller, she's soooooo good!! I have the honor of being a gifted 3rd generation psychic. I communicate with ANGELS and SPIRIT GUIDES. Being accurate and compassionate has been my specialty for more than 25 years. I am here to tell you that no matter what difficulties you experience, you can overcome any obstacle and become a stronger more positive being. I specialize in love, relationships, finances and career. I am available most days and evenings. Please email me if you have any questions regarding my schedule. Also feel free to check my listing for my hours for the day. I look forward to talking to you. VisionsByVicky has been a user of Keen since 2006. 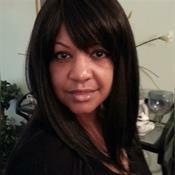 Getting Love & Relationships advice from VisionsByVicky through www.keen.com is safe, secure and confidential.